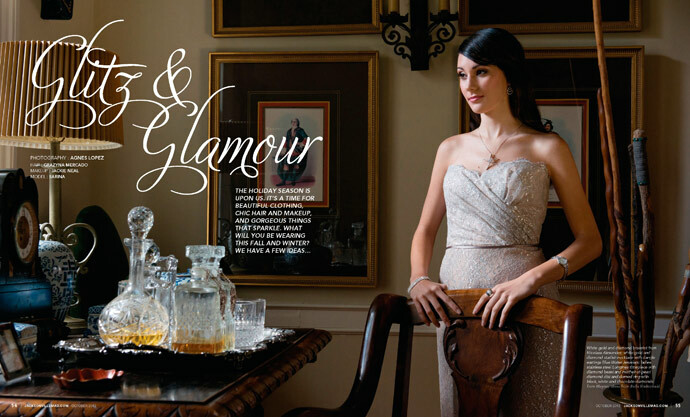 The October issue of Jacksonville Magazine features a cover and jewelry editorial I photographed. We had the opportunity to spend the day at Spa Laterra and shoot our model Georgina getting spa treatments and in her best yoga poses. For the jewelry editorial we had access to a beautiful Avondale home and an unbelievable selection of pieces from area jewelers. Check out this month’s Jacksonville Magazine, the annual Best of Jacksonville issue, for the fashion editorial titled, “Layered Looks”. It features clothes and accessories from local boutiques Therapie, Boutique 316, and Private Gallery. I loved all the pieces from the shoot and hope to wear some of them when it finally gets cold!